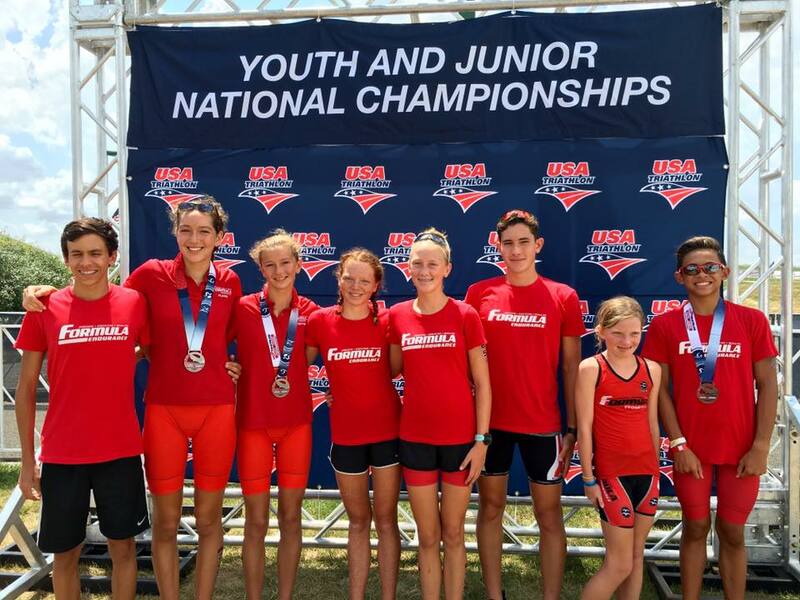 Formula Endurance is the only high performance junior and youth triathlon team in San Diego. The mission of Formula Endurance is to promote and develop the sport of triathlon among youth, teenagers, collegiate and post-collegiate athletes in a team atmosphere, from beginner to elite ability levels. Through structured team practices and participation in local and national competitive events, the program strives to create a positive environment for personal growth in both sport and life. Athletes pursue and accomplish goals in the areas of mental and physical preparation, sport-specific skills and overall fitness and speed. Regardless of age or skill-level, Formula Endurance athletes build and maintain a healthy lifestyle, and are instilled with the drive to achieve their full potential. All athletes participate in a weekly training program depending on age and program level, designated as (1) Junior National Triathlon, (2) Junior Regional Triathlon, (3) Youth Triathlon, and (4) Youth Weekend Triathlon (see below for details). Bike workouts include both road cycling skills and fitness work on a bike trainer. Run workouts include trail and road running and track intervals, as well as strength training such as plyometric exercises. All athletes are encouraged to join local swim teams to develop their swimming skill and endurance. The program benefits from the high number of USA Triathlon-recognized races held in the San Diego region, and the team provides on-site coaching during select competitive events. All athletes receive coaching at an Elite certified level, and have access to leased equipment (including wetsuit, bicycle, helmet, etc., based on availability and signed contract). Athletes may also receive Formula Endurance apparel and discounted sponsor products or equipment (based on availability). Formula Endurance is committed to promoting and developing the sport of triathlon among youth, juniors and more.